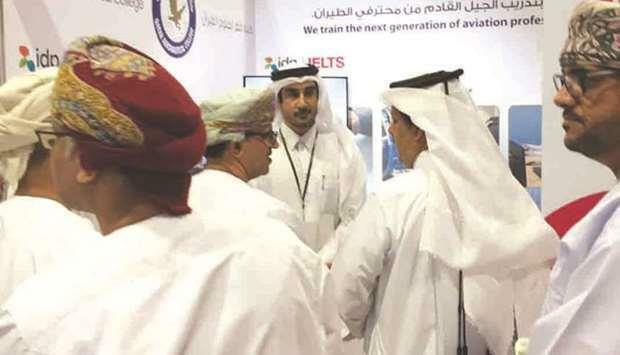 (MENAFN - Gulf Times) The Qatar Aeronautical College (QAC) is participating in the ongoing Global Higher Education Exhibition (Ghedex) 2019 being held in Oman. The participation 'translates the college's effort to advocate its programmes worldwide, the QAC has said in a statement. The event is being held under the patronage of Dr Abdullah Mohamed al-Sarmi, undersecretary at the Oman ministry of higher education, who visited the QAC booth and listened to a brief on the majors offered by the college. Ali bin Fahad al-Hajri, Qatar's ambassador to Oman, also visited the QAC booth and thanked the college for their contributions. The three-day event concludes today.